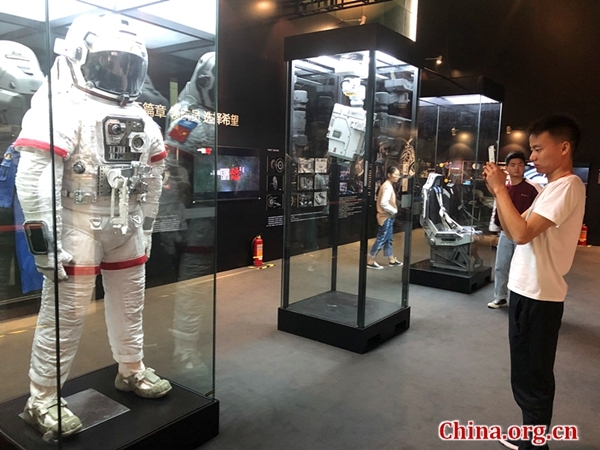 The "Science & Technology Section" of the 9th Beijing International Film Festival opened on Thursday in Beijing with a themed exhibition of the sci-fi blockbuster "The Wandering Earth." Yin Hao, curator of the China Science and Technology Museum, said at the opening ceremony that the museum had constantly been exploring the advanced film technologies used in special effects movies and cinemas. He added that the "Science & Technology Section" provides rich and engaging popular science film exhibits to the general public. "It focuses on promoting the struggles of scientists, showcasing the prosperity of domestic science fiction movies, enhancing the public's experience and enjoyment of such films, as well as integrating film elements with scientific experience. This will further enhance the role of film in promoting and boosting the sciences," he said. The section is composed of five major subsections. The "Film Panorama" segment focuses on special effects films, spirit of scientists films and science-fiction films. A total of 31 of the latest special effects films from 12 countries such as China, the United States and Belgium will be shown to audiences from April 5 to May 5. 19 of them are debuting for the first time in China. There will also be a number of biopics on scientists and science-fiction films screened during this period. According to the organizers of the film festival, the "Science Popularization" segment presents a science film carnival for the first time. This segment integrates elements of film, scientific experiences and parent-children interaction using advanced technologies employed now in film and television to provide audiences an opportunity to participate in and enjoy the wonders of film and science. This includes a 4D seat experience, a VR/AR technology exhibition and experience, a Lego film element exhibition, creativity building, and parent-children interaction etc. At the "Masterpiece Appraisal and Selection," a public jury and panel of experts select the best popular science films, the best creative films, the best special effects design films, the best domestic films and the best films based on viewer recommendations. The "Academic Forum" is a forum for the development of special effects films, focusing on the construction of special effects theatres, special effects film technology and theatre education, operations, management and other topics related to the industry. It also holds seminars for discussions and exchanges. The "Exhibition and Exchanges" subsection has a 4D special effects equipment exhibition, a theatre party, a special effects film exhibition and recommendation as well as other exchanges. These are all aimed at building up an exchange and transaction platform to meet the growing demands of the science fiction film market. 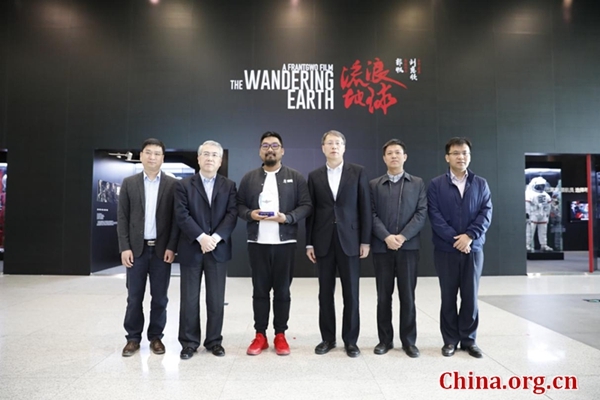 In addition, the "Power of Hope - The Wandering Earth" movie themed exhibition co-sponsored by the China Film Co. and the China Science and Technology Museum officially opened to the public, free of charge, at the museum from April 4. This exhibition showcases props such as astronauts' outer suits, CN171-11 rescue team's military equipment and other costumes as well as design manuscripts and stills. For Yin Hao, the "Science & Technology Section" is a big event in the popular science film industry. 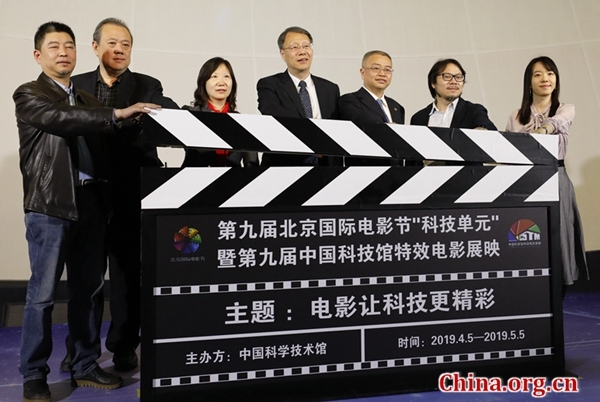 He said that the event is a platform for movie-viewing, negotiating, learning and exchange for science popularization venues and special effects filmmakers to achieve a win-win development of the science popularization film industry. The section was set up inside the Beijing International Film Festival since last year.